An early look at the upcoming January issue of Newtype magazine has revealed lots of new details about the recent Mahou Shoujo Madoka★Magica Concept Movie that was shown at Studio Shaft’s (Bakemonogatari, Nisekoi) 40th anniversary event. An interview with producer Mitsutoshi Kubota was present in the issue, in addition to a new visual from the concept movie. An interview with producer Kubota has revealed new details about the recent concept movie and the future of the series. The concept movie was intended to be an “extravagant” series of image boards, where animators draw scenes that capture the atmosphere and mood of the series. The movie itself will be an integral part of a new project and will act as a trailer leading up to its production. All scenes showcased in the movie will be implemented in the new project, and the anime’s staff is hard at work recreating the scenes. The project will have a strong focus on Mami, described as a “God of Battle”, akin to Guan Yu from The Romance of the Three Kingdoms. The concept movie was shown at the studio’s 40th anniversary event, ~Commemorating 40 Years of Shaft~ Madogatari, that featured a snippet of a new story a potential new anime in the works. The event itself was earlier revealed when the Madogatari crossover website was launched. Mahou Shoujo Madoka☆Magica (Puella Magi Madoka Magica) is an original anime series that aired in 2011. The series was produced by Shaft (Bakemonogatari, Nisekoi), and was directed by Akiyuki Shinbo (Bakemonogatari). The series was written by Gen Urobuchi (Fate/zero, Aldnoah.Zero) and the character designs were done by Ume Aoki and Takahiro Kishida. The series received great reception breaking Blu ray sale records, where the franchise has grossed over ¥40 Billion to date. The series was also live streamed on Niconico where over 1 million people watched the series. In addition to the TV series, a trilogy of movies were also released. The first two films recapped the anime series and the final movie, Rebellion, had an original story set after the anime. She has a loving family and best friends, laughs and cries from time to time… Madoka Kaname, an eighth grader of Mitakihara middle school, is one of those who lives such a life. One day, she had a very magical encounter. She doesn’t know if it happened by chance or by fate yet. This is a fateful encounter that can change her destiny—this is a beginning of the new story of the magical girls. 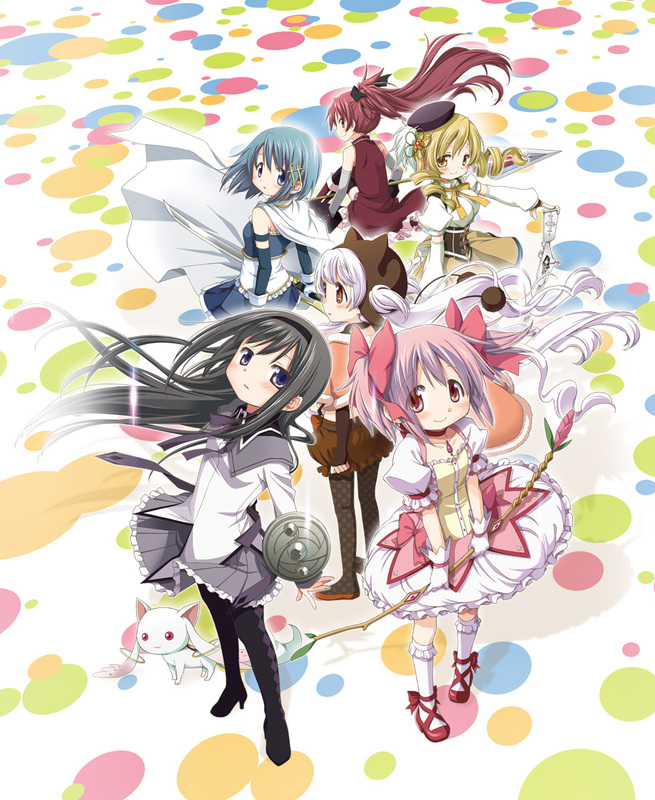 The new Mahou Shoujo Madoka★Magica concept movie will be available online soon, which will follow a brand new story. Further details about the new project will be revealed in due time.